2010 was a big year in more ways than one! Research uncovered more genetic variants associated with common diseases, fascinating portraits of our early ancestors, and new insights into the genetic diversity of modern populations. And on top of all that, 23andMe published its first research discoveries, validating our revolutionary new web-based research platform and paving the way for our first federally funded grant, focused on the genetics of drug response. In October, SNPwatch covered a report by the GIANT consortium which identified about a dozen new SNP associations with body fat distribution. They also found that the SNPs play a more significant role in determining body fat distribution in women than in men, and that these SNPs were mostly distinct from SNPs associated with BMI. 2. Genetic variations newly associated with risk for childhood asthma. 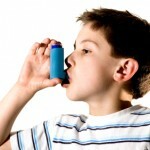 New discoveries in asthma capped off the beginning and end of 2010, with two studies revealing variants associated with childhood asthma. The first study, published in January and covered in this Blog post, observed that the same SNP had different effects in children with different ethnic backgrounds. The second study, published in September, also examined genetic associations for allergy susceptibility, and found there was very little overlap with asthma, suggesting that allergy sensitivity may be an effect of asthma rather than its cause. 3. New variants influence risk for rheumatoid arthritis. Like many other autoimmune diseases, rheumatoid arthritis is complex and influenced by many genetic and environmental factors. In May, the Blog covered a pair of studies that identified an association between a variant near the CCR6 gene and rheumatoid arthritis in both Asian and European populations. One of the studies, led by a team at the RIKEN Center for Genomic Medicine in Japan, also showed that the different versions of the variant affected the behavior of the nearby CCR6 gene, providing a potential biological explanation for the variant’s contribution to rheumatoid arthritis risk. Until very recently, APOE e4 was the only genetic variant conclusively shown to be associated with risk for the more common late-onset form of Alzheimer’s. This past spring, researchers added to the growing list of common variants that seem to affect Alzheimer’s disease risk in European populations. Compared to APOE e4, these variants have fairly small effects, but the findings suggest additional avenues for research into the biological underpinnings of the disease. 5. One size doesn’t fit all — personalizing treatment. One of the first areas in which personalized medicine will have an impact is in tailoring a patient’s treatment regimen based on individual genetics. In January, the FDA updated the labeling information for warfarin, a common blood thinning medication, to include initial dosing recommendations based on certain genetic variants, and in the summer, the Blog published a perspective on the history of pharmacogenetics. And, 23andMe will be contributing to our understanding of pharmacogenetics through our first NIH-funded study. 6. No clue yet to how long Geri-Boomers can expect to live. A genome-wide association study of extreme longevity accompanied by a highly predictive model based on 150 SNPs caused quite a splash when it was published in Science last July. But many in the scientific community were skeptical. The Blog posted a detailed discussion of some of the issues surrounding the longevity paper along with general findings from a preliminary analysis applying the study’s longevity model to long-lived customers in the 23andMe database. 7. Baby’s first tooth may be a health predictor. Your teeth say a lot about your health, as any dentist might tell you. And it turns out that the same genetic and biological processes that go into forming your baby teeth may also be important for many other health conditions. In March, SNPwatch covered a study that identified genetic variants associated with the timing of a baby’s first tooth and the number of teeth at age one. 8. Before you call that relative a “Neanderthal,” some more of what we’ve learned about our distant past. The sequencing of the Neanderthal genome showed us that humans and Neanderthals maybe more similar than we thought, and may even have interbred, leaving detectable remnants of Neanderthal DNA in our modern genomes. Sequencing of another genome, that of a man from the Saqqaq culture who walked the earth about 4,000 years ago, allowed another group of researchers to piece together a portrait of what this ancient human may have been like, including traits like eye and hair color, blood type, BMI, and baldness. 9. A fresh look at Latino genetic ancestry. Latino populations are known for their diversity, but does this hold for genetics, as well? A 2010 study compared DNA from 100 individuals with ancestry from four different Latino populations to get a sense for the extent of their genetic diversity. The study found significant differences in source ancestry between these populations, a fact that has implications for medical genetic research. 23andMe made many strides forward in 2010: we published our first peer-reviewed paper with results of our web-based research platform, we announced preliminary results and plans for a number of other ongoing studies, we launched a new Sarcoma community, and we received our first NIH-funded grant to study the genetics of drug response. In 2011, we will continue to work together with our participants to advance the 23andWe research paradigm and learn more about the information encoded in our genomes. Read more about each of these developments in our official press release, or browse our blog archives for more exciting genetics stories!